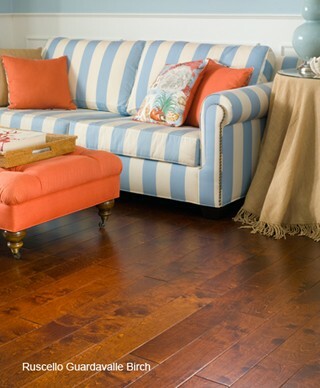 Featuring warm red undertones, Ruscello Hand Carved Birch Guardavalle flooring will add warmth and charm to any room. The wood flooring features high variation between boards and the unique dark-colored finish works to bring out the woodgrain for a show-stopping effect. There's no way you'll want to cover these beautiful floors with rugs, so they're pre-treated with a thick layer of aluminum oxide urethane to ensure they maintain their good looks for years to come. Ruscello Hand Carved Birch Guardavalle wood flooring measures 5 inches wide. Boards vary in length, but are a standard 3/8-inch thick. 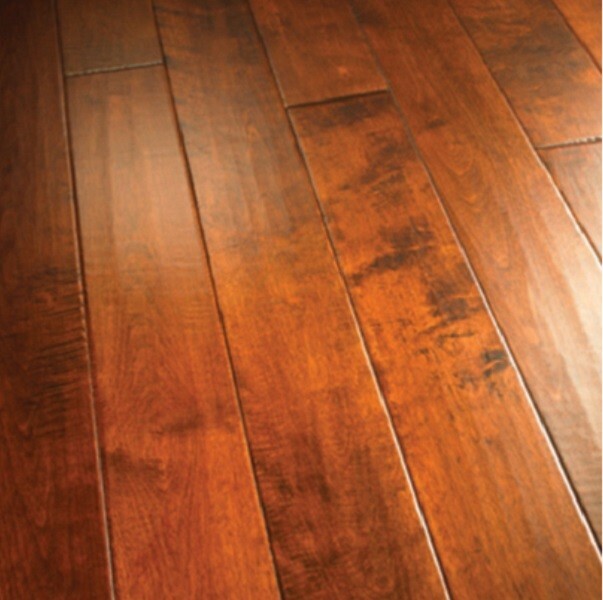 Flooring is sold by the case and cases contain a random assortment of board lengths, with individual pieces ranging from 15 inches to 4 feet long. 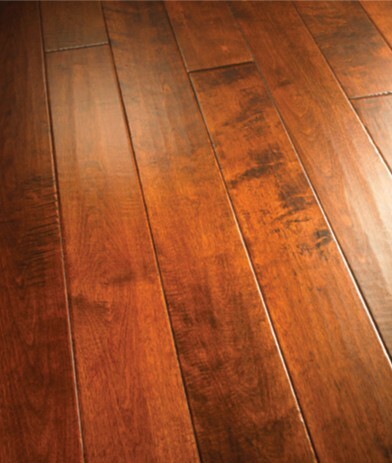 The wood floors can be glued or stapled as desired and come with a 50-year warranty from the manufacturer.